Well, this just looks like I grabbed a box of sparkly things and chucked the lot on a card, doesn't it? But I enjoyed making this blingy thing , so hopefully someone will enjoy receiving it. I cut the words out on the Silhouette, coloured them in Perfect Pearl Mist and raspberry Distress Ink. The little stars are glitter texture paste stencilled onto pearlescent card and the bigger star is a Sizzix die, which I then embossed in a folder. 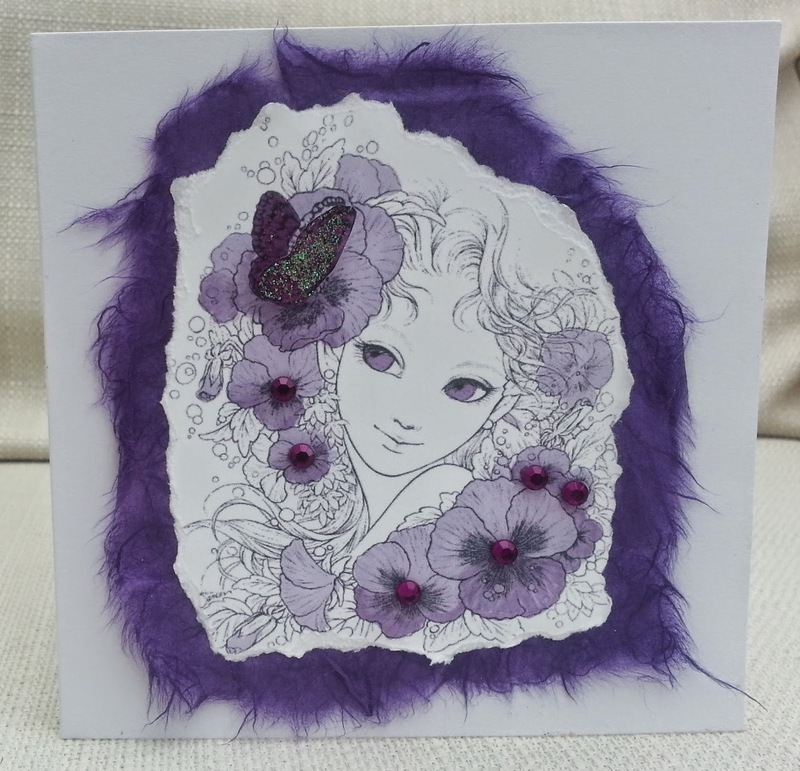 I was playing around with some dry embossing techniques and decided to put a card together, using the colour pallette at Artistic Inspirations. The technique on the heart is a new one for me ( learnt it from Online Card Classes). You dry emboss, sand the raised area and colour bits of the sanded areas with markers. 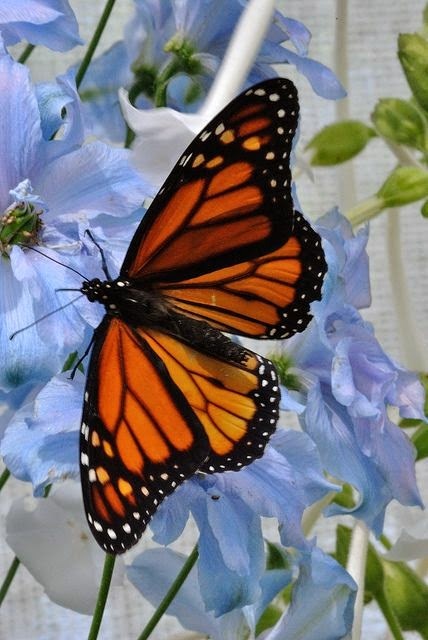 'Butterflies'is the theme this week at Make My Monday . I had intended to do quite an ornate card, but I had some Stampin Up Cherry Cobbler ink on my desk, used it for a test stamping , and decided to stick with it. Both the stamps used are old favourites - the 'negative ' one by Impression Obsession and the other by Anita's. 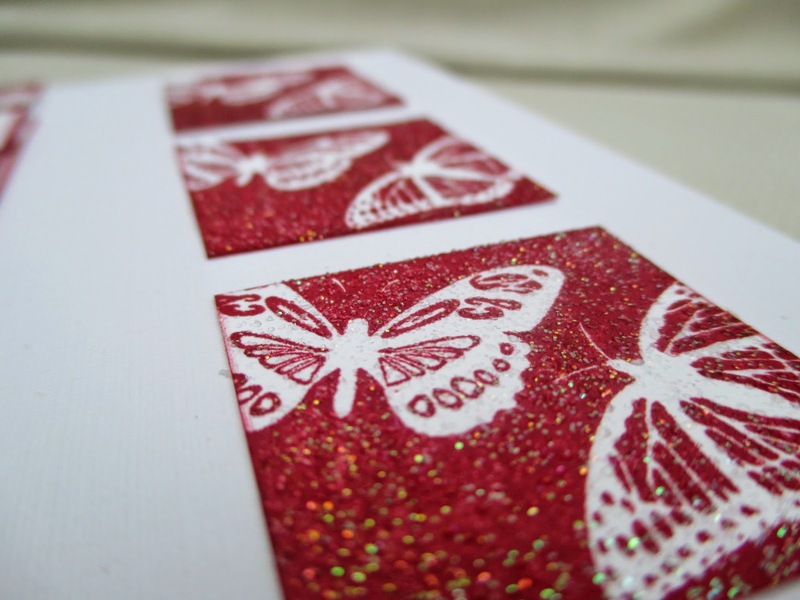 I embossed everything with sparkle embossing powder. 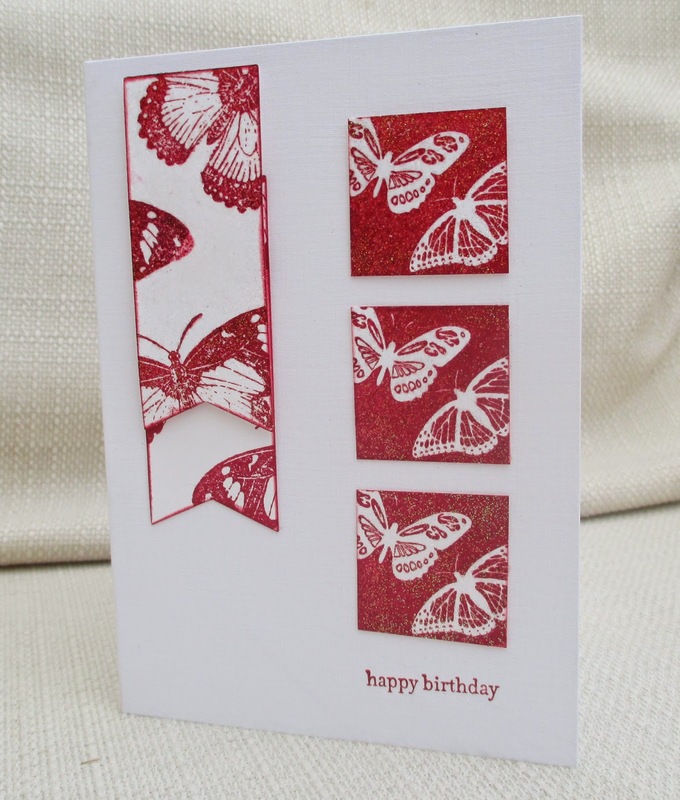 I know you have a butterfly stamp, die, punch or digi in your collection! There's absolutely no excuse not to join us at Make My Monday this week. My daughter asked me to make her a tag she can use as a bookmark . 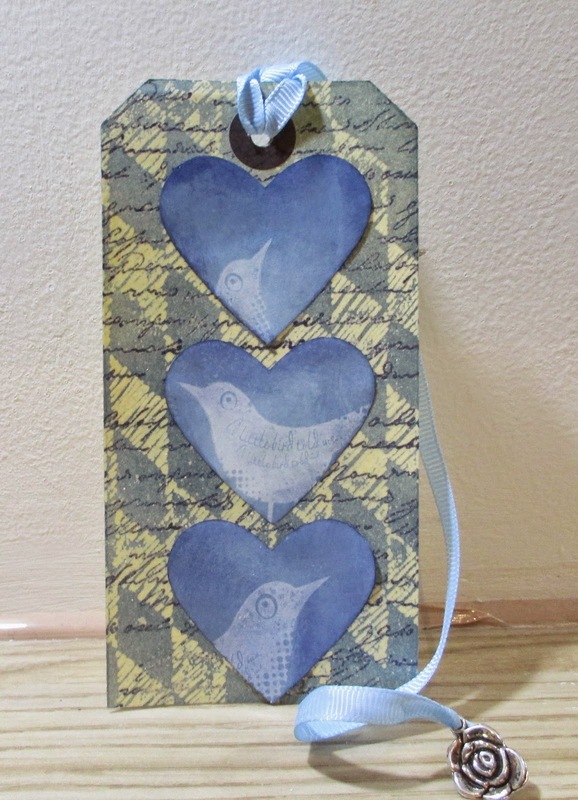 I punched some hearts and used some new bird stamps - I think they are Woodware but I have already lost the packaging! I used a resist technique with Versamark, glossy paper and Distress Ink. More resist on the background - clear ep, an Indigo Blu script stamp and a Judikins Harlequin backgroud stamp. 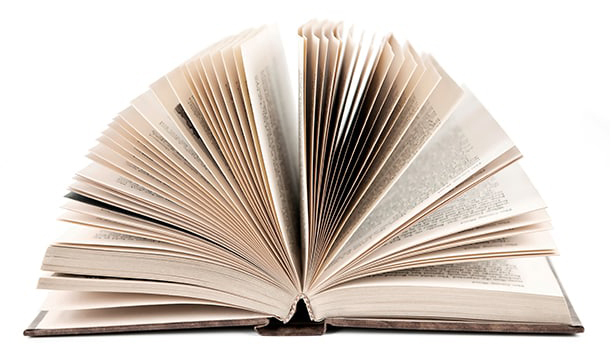 The ribbon with the charm is quite long, so that it pokes easily out of a book. Had fun colouring this digi, from Polka Doodles' Dollie Daydream Goes East CD rom, with Promarkers . I also printed a paper from the CD to use as a background and to paper-piece her dress. The writing (fortunate) and the waterlily (stamped in the corners and covered with gold mica are Sheena Douglass stamps. I won this Art By Miran image in a challenge and it's not something I would normally go for, but I really enjoyed using it. I coloured it with Promarkers and added glitter glue. I mounted it on silver mirri board and pink patterned paper. I added punched snowflakes, gems, ribbon with a sentiment, and a charm. If nothing else, I'm sure you will agree that it's very pink! Having some colleagues take redundancy lately, and a friend move away , has made me want to have a card in stock for those kind of occasions. This was designed digitally, so I could quite easily duplicate it. The basic design is quite masculine but I added some embellishments to girl it up. The phone, text frame and two 'stains' are all elements from Papermania Portobello Road CD. I die cut everything and slapped everything, including the embellishments, with distress inks. I'm still making teacher thank-you cards. The image is by Bugaboo and coloured with markers. I used some star patterned paper - an old magazine freebie - and Coredinations card embossed with a honeycomb folder and sanded. Craft Hoarders Anonymous who's the boss? star paper is hoarded. 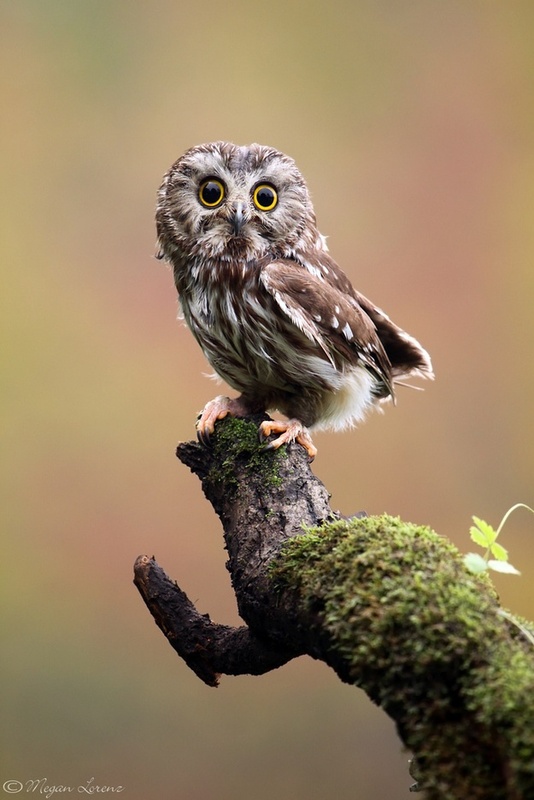 Come and share your project, inspired by the photo, at Pinspirational - we have great prizes provided by our sponsors. I made this card for my partner's friend who is in hospital. I used a Silhouette cutting file, cut in white and coloured in inks and markers. I used a brick stencil on the base and embossed the hood with dots and stuck it on with 3d foam at the bottom, to create a slope. The background was embossed with a butterfly folder. 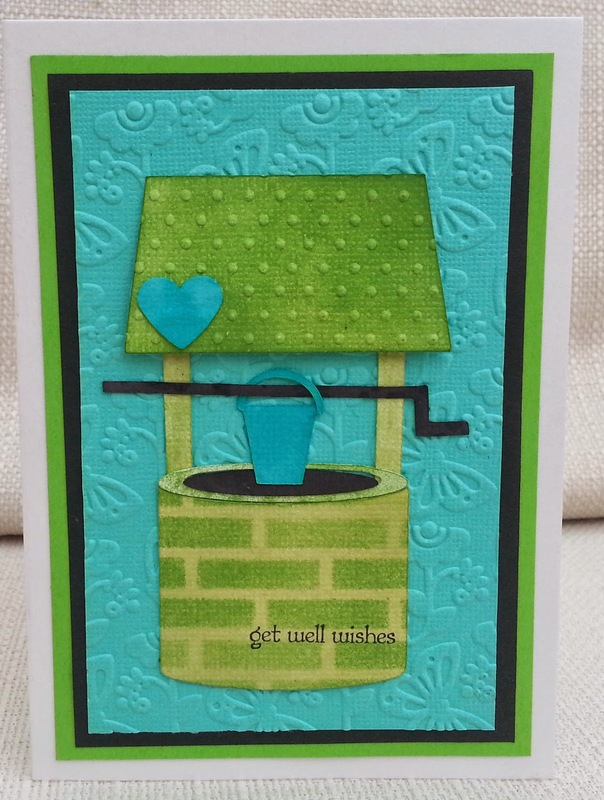 I added a punched heart and a sentiment from Stampin Up. Another card for one of my son's many teachers/teaching assistants. The digi stamp is from A Day For Daisies and I coloured it with marker and added glitter to the worm and leaf and stamped the sentiment. The rulers were cut from Echo Park paper. 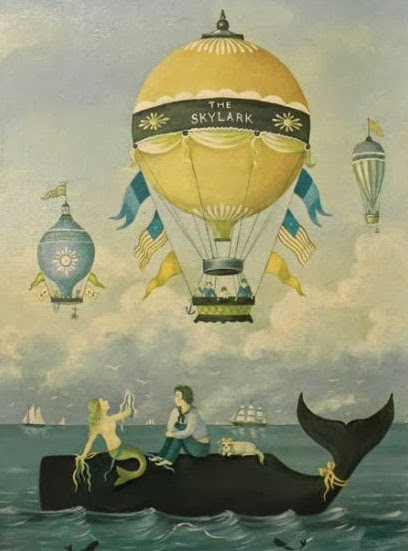 This week's theme at Make My Monday is vacation/ holiday. For my DT project, I'm sharing a mini-book with tags and pockets for holiday notes, photos, tickets etc. 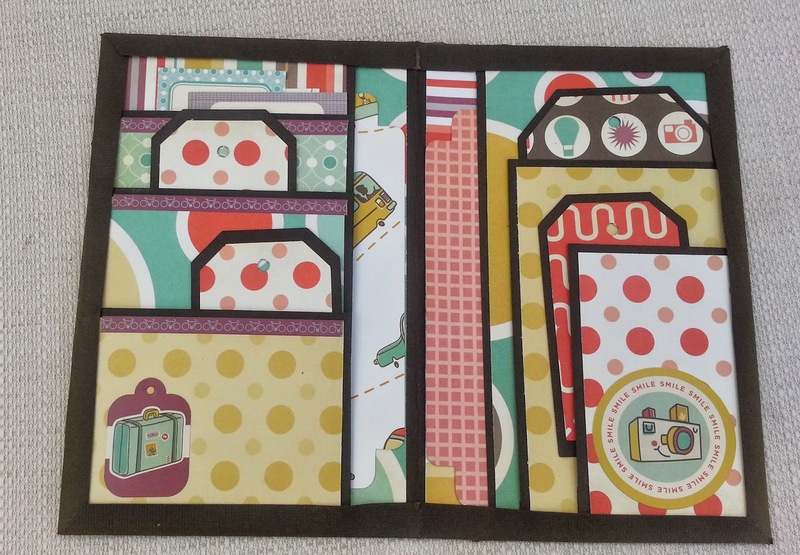 I used plain cardstock and one of my favourite ever scrapbook ranges - Cosmo Cricket's Joy Ride. To construct it , I followed the instructions from Kathy Orta Files. I hope you'll join us at Make My Monday and share your holiday project. 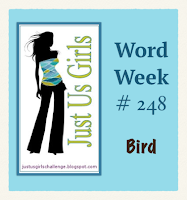 At Inkspirational we have a 'word prompt ' - splash . 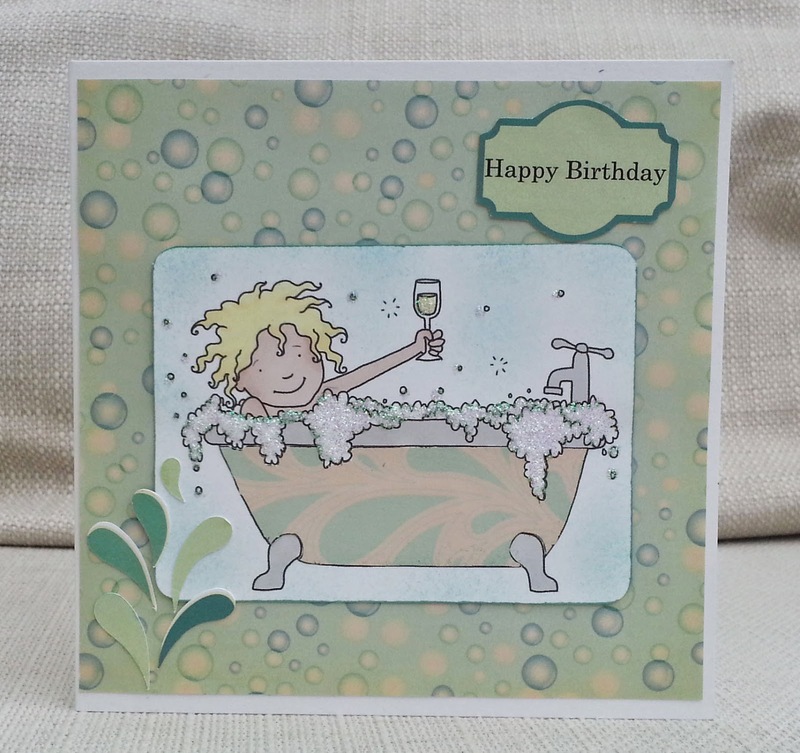 For my DT card I have added bubbles to the splashes! I used a Jellypark digi, which I coloured with Promarkers. I paper- pieced the bath with a scrap of Cosmo Cricket's Salt Air collection and then used a digital versio of it for the sentiment shape, the splash (left hand bottom) and the bubble background. I used stickles on the bubbles in the bath, and the champagne. 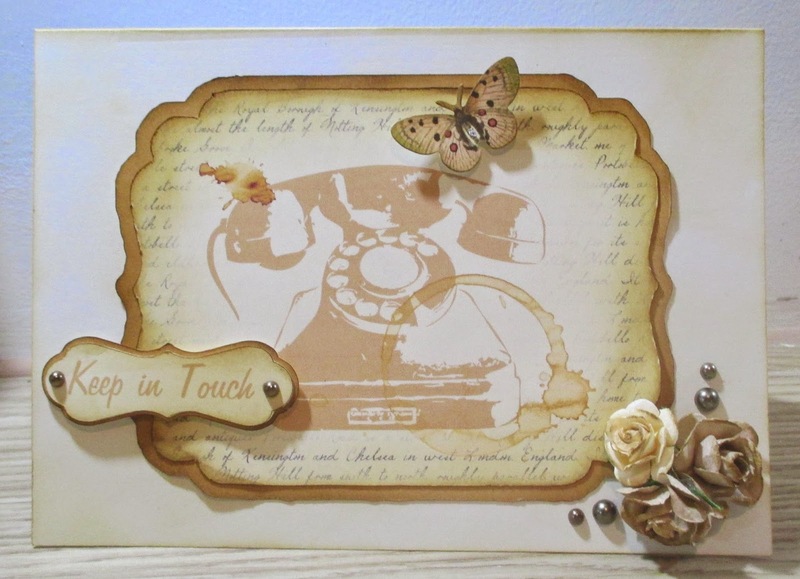 There are so many ideas for the theme 'splash' - just look at the variety of projects from the Inkspirational DT and our fabulous Guest Designer Cinni. I hope you'll join us. Daring Cardmakers Out on the water (although actually 'in, in the water'! But the theme description says to show any way humans enjoy water. Ten years ago, when I moved to my town, I joined a reading group and made a good friend. Now, she's left me and cleared off to Yorkshire! 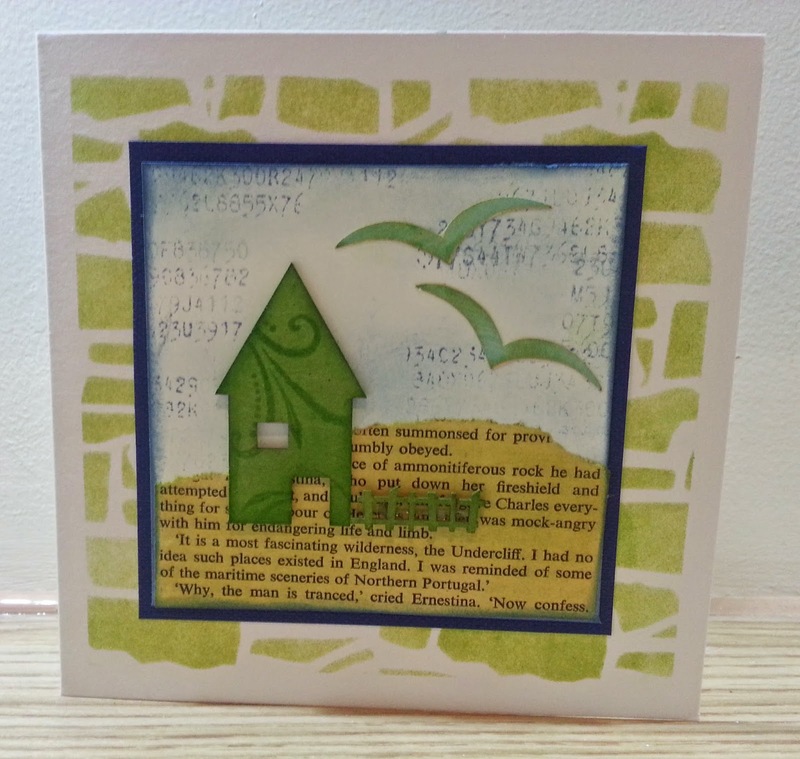 I used a Tando chipboard house and fence, coloured them with ink and stamped with a flourish stamp. I made a hill out of a page torn from a book we did at the reading group, which fell to pieces. The numbers in the sky are an Inkadinkado stamp. I masked off the edges of the card black and inked through a stone wall mask. 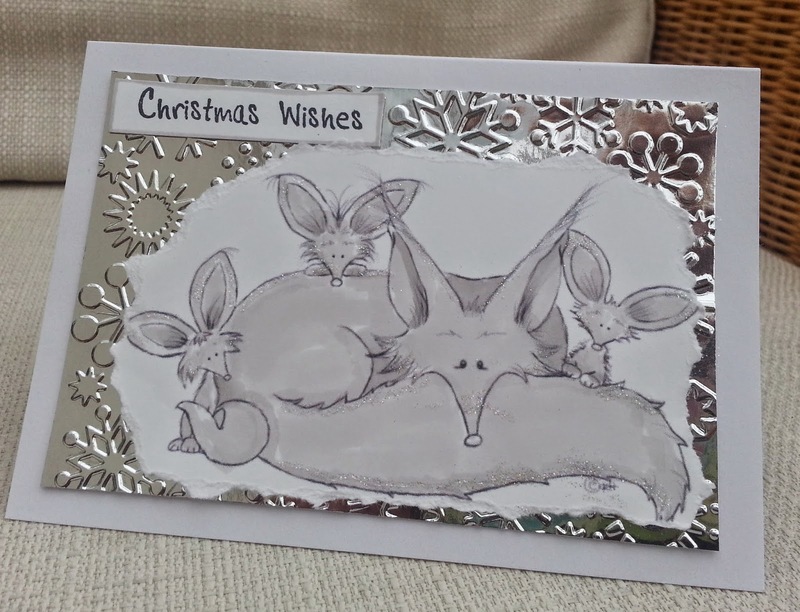 Here I used a fox family digi from Oak Pond Creations, coloured with markers and 'frosted ' with glitter ( wish it showed up on photo!). I've been with the Make My Monday DT for two months now and I'm excited to say that I've chosen this week's challenge, End of Term. 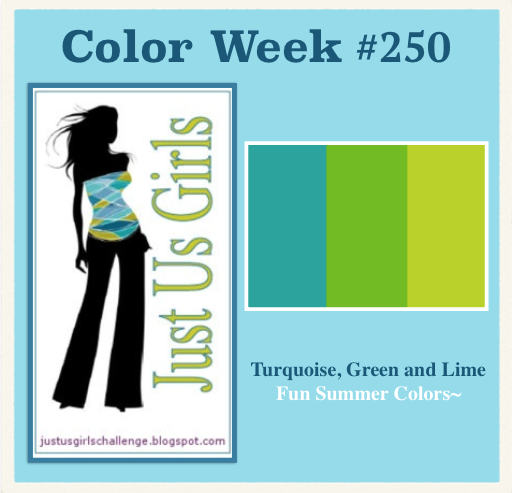 I chose this challenge because not only have I a school-aged child, but I also teach in a college and I've got a four week holiday coming up! I like to try to make cards for my son's teachers at the end of the school year. This year, I have seven to make! The class teacher, reading group teacher, 3 TAs and the workers at after-school club. 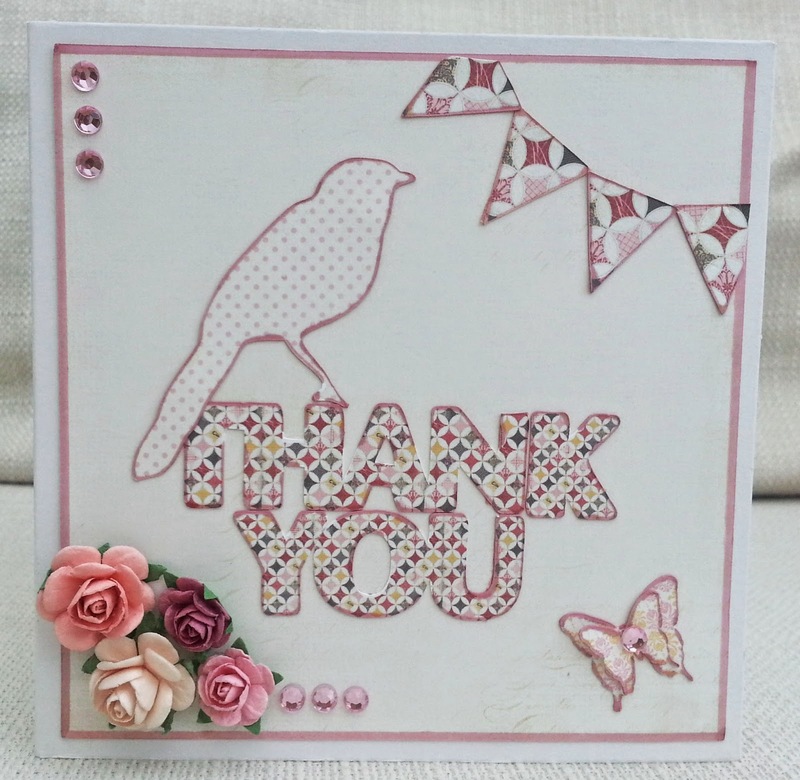 For this card I used a Bugaboo digistamp coloured with markers and a Papermania 'thank you ' stamp that comes with its own die. 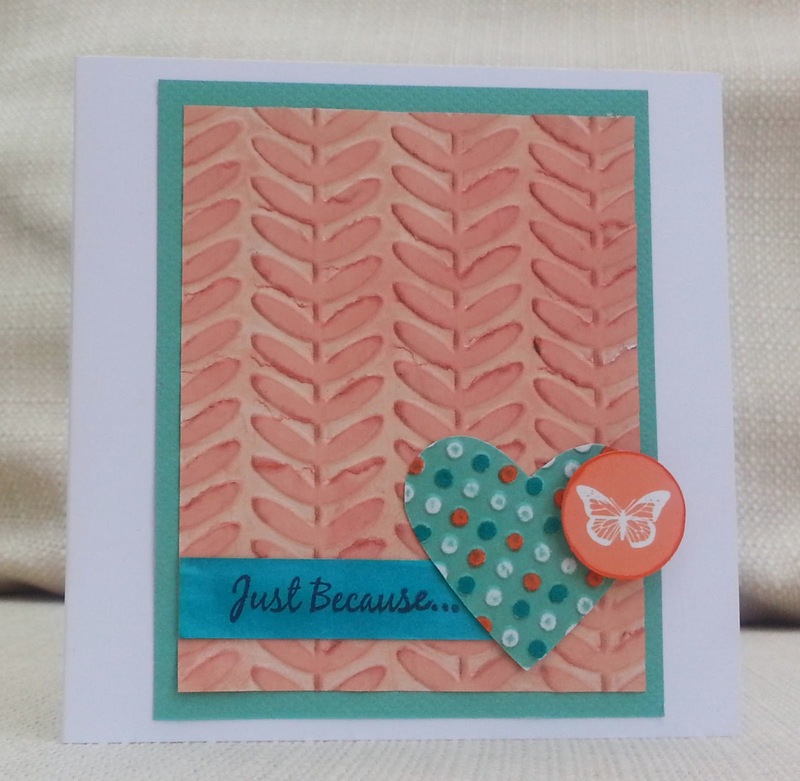 I kept it simple by just mounting it onto a white textured card blank. It's not just thank you cards for teachers that will fit this theme. 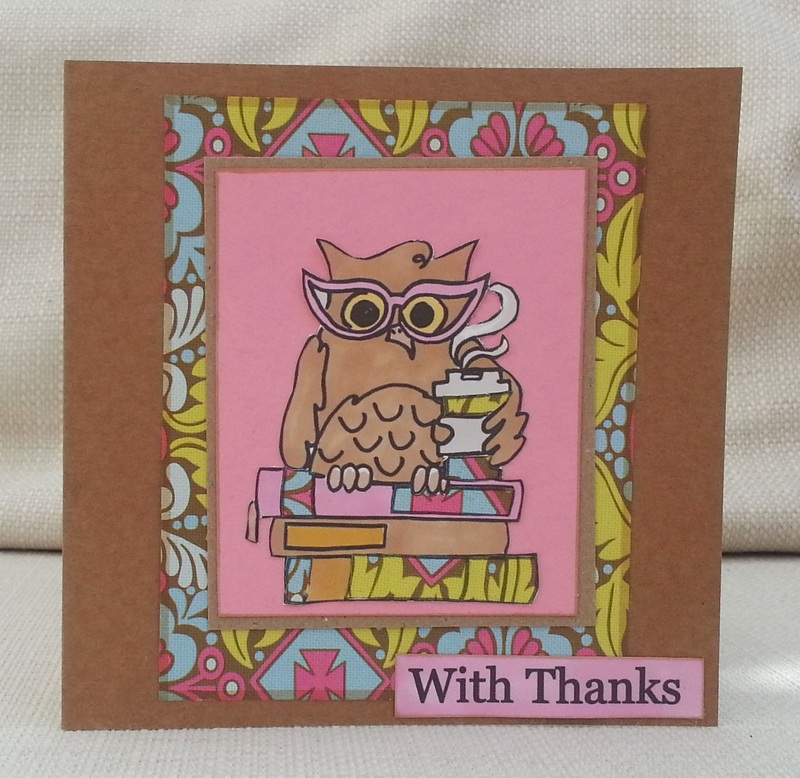 How about a congratulations card for a student who's passed their exams ? 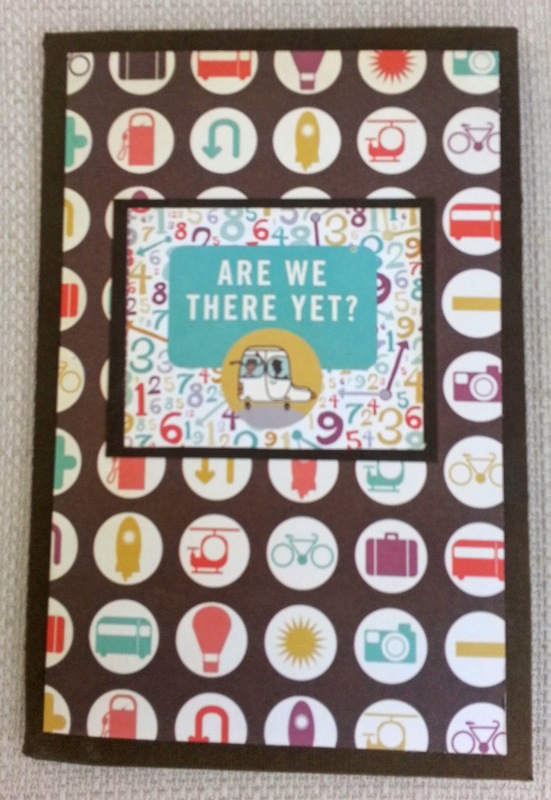 Or a Bon Voyage card for someone taking a summer break? Come over to Make My Monday and join in. I was at my lovely local crop yesterday and this is one of my layouts. It's my friend with her newborn grandson. 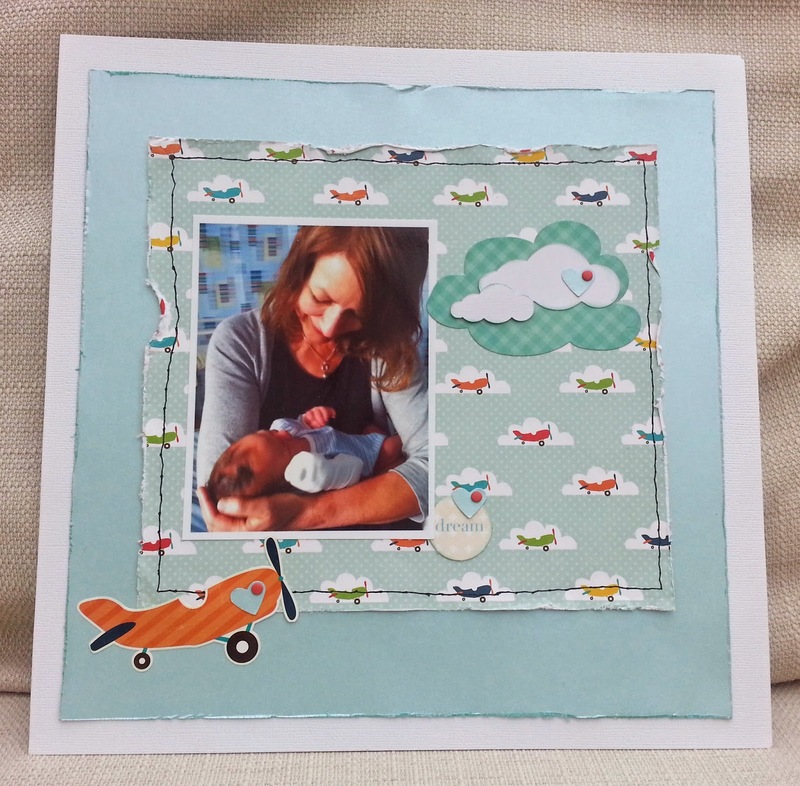 The patterned paper, patterned cloud and plane are all from Little Boy collection by Echo Park. I die-cut and punched the white clouds and the hearts. I've made these cards as 'thank you cards' for the two workers who run my son's after-school club. I know it's summer and the kids are wearing jumpers but , hey, this is Britain - it could be jumpers , umbrellas or shorts for the summer holidays - or(most likely) all three! 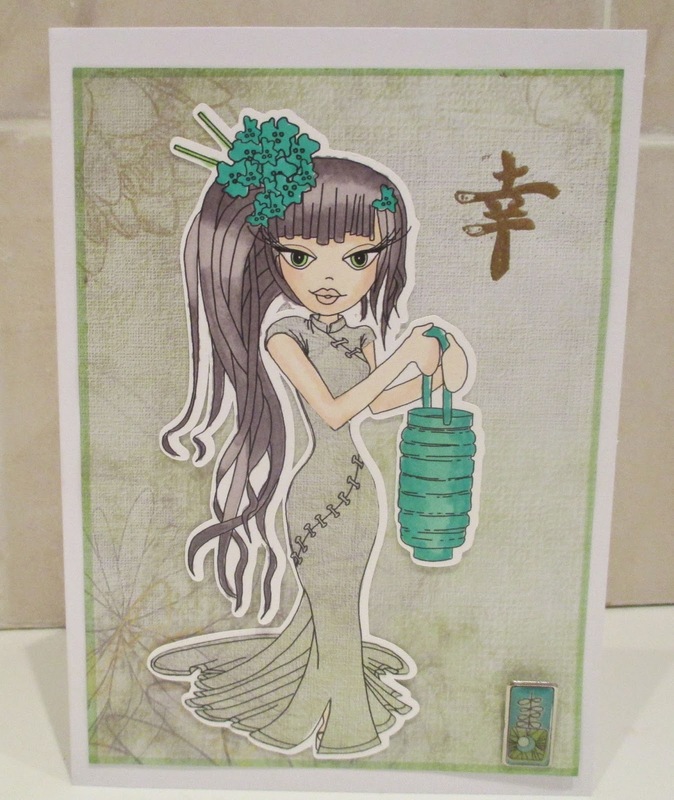 The digistamp is by Jellypark and I coloured with markers and paper-pieced with scraps. For my DT card , I used a digi- stamp, kindly provided by our sponsors Aurora Wings . I coloured the flowers, butterfly and eyes with shades of purple marker and added gems. As the inspirational photo is a butterfly, I tried to emphasise the butterfly by cutting out a wing , covering it with glitter glue and sticking it on at a dimensional angle. I mounted the image onto torn mulberry paper. 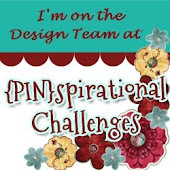 Please come and join us at Pinspirational Challenges . We have great sponsors and prizes to be won. My daughter asked me to make a thank you card for the community midwife who has mentored her during her midwifery training. 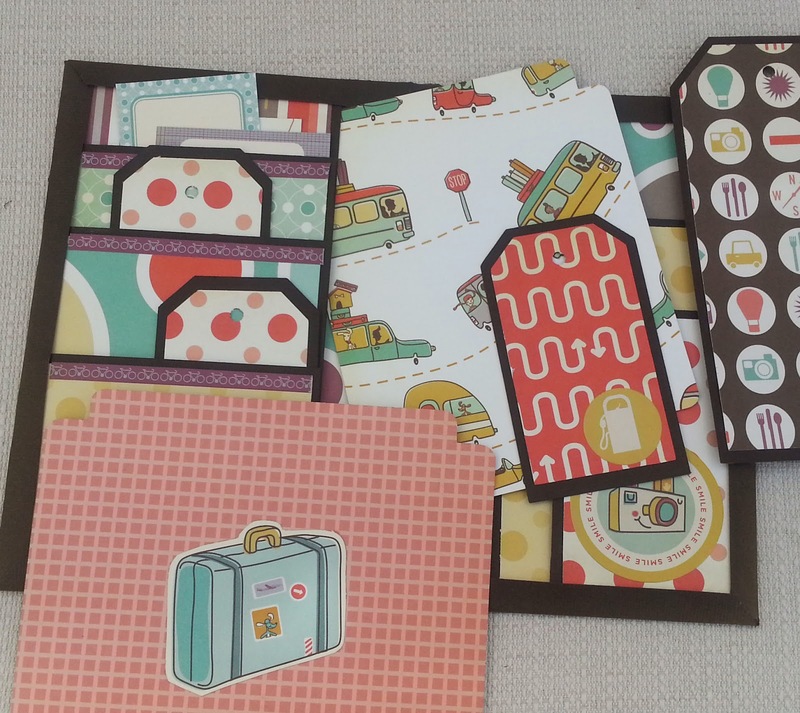 I used a digital version of Carta Bella Beautiful Moments papers, which I used to fill shapes in the Silhouette electronic cutting machine and then print and cut. The advantage of using the Silhouette Studio software is that you can scale the patterns - I used the same pattern on the 'thank you' and the bunting, but scaled it larger on the bunting. I outlined everything with a dusky pink marker. 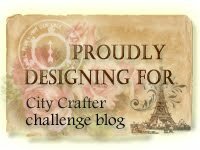 This week's challenge at Make My Monday is 'mail art' and this theme was a new one for me , so , before making my DT card I had to 'google'. I discovered that mail art can be several things, but the one that attracted me was stamping on an envelope. First I masked off spaces for address and a postage stamp and inked using different colours. Then I went through my drawers of stamps and made a pile of stamps that I haven't used for ages, and really enjoyed myself using them to create an (unlikely) scene. Whether you love mail art, or whether it's new to you too, I hope you'll come over to Make My Monday and join in with our challenge. 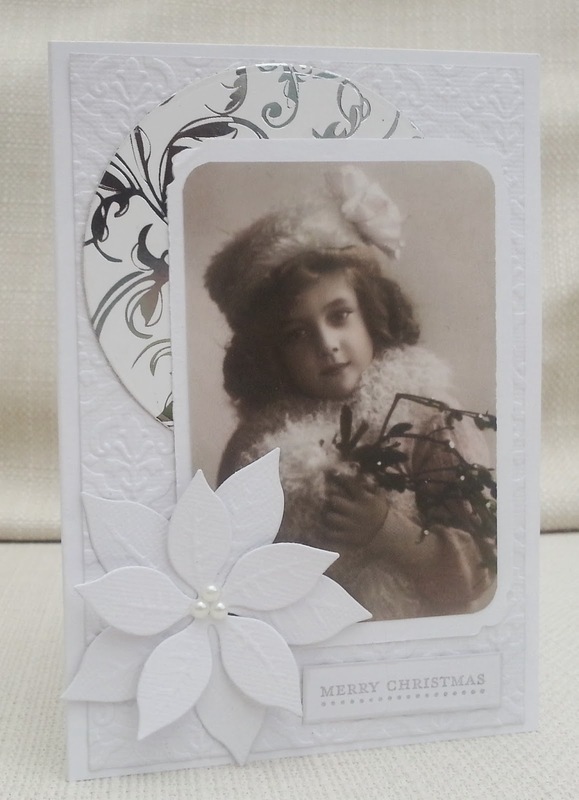 This week I used a vintage photo image which has been kindly provided for download at Completely Christmas. I layered it on white on white die cuts and embossing, including a poinsetta die from Marianne and a Stampin Up sentiment. 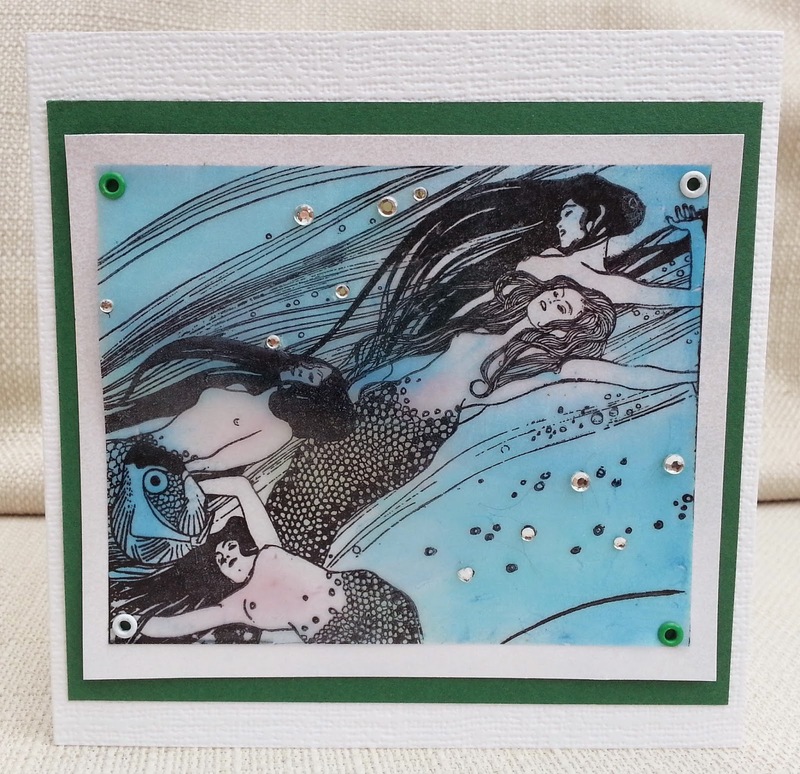 Well, I chose this picture and to be honest, I could have picked any one of a dozen ideas from it ...but I went with this mermaid stamp from Enchanted Ink. 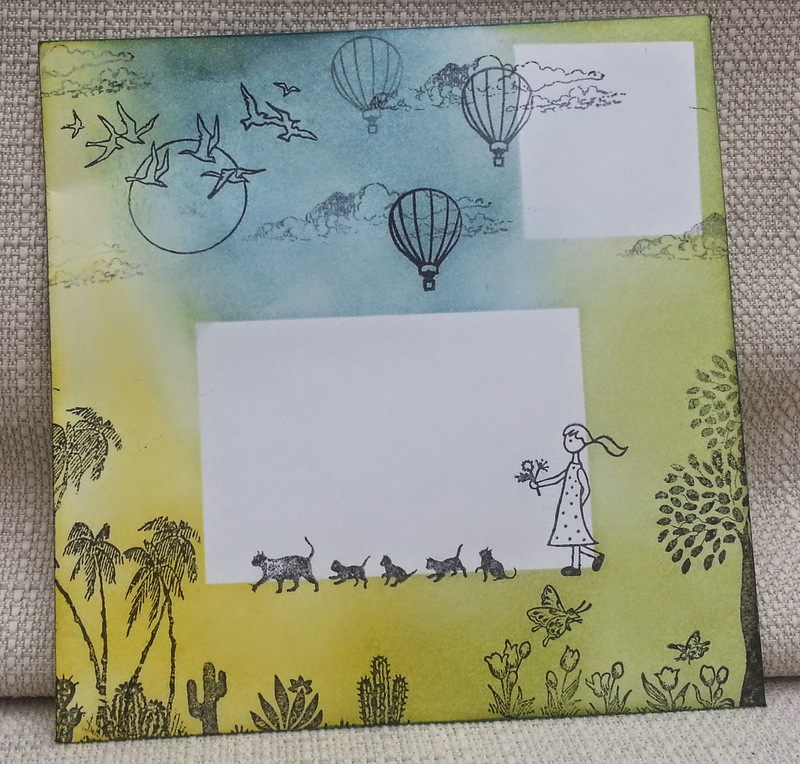 I stamped onto acetate, put adhesive on the back and brushed on several colours of mica powder. 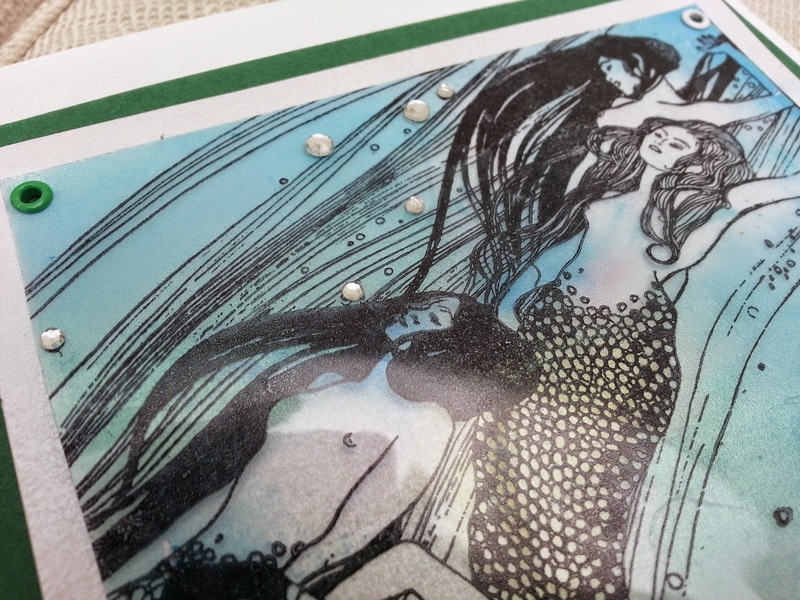 Then I attached this panel the layers of cards using eyelets and added gems for water bubbles. I hope the picture will give you some ideas and that you'll come and join us at Inkspirational and also check out the projects of our fantastic design team.